Just like the rest of us, the rich and famous like to take risks. But I’m not talking about those celebs who hit the VIP room in Vegas once in a awhile…I mean the ones who put their entire careers and reputations on the line. Like Michael Phelps for example. He got caught smoking pot (presumably) from a big bong, and the photo of the incident has made its way across the internet faster than a world-record setting front crawl. How much did this decision cost him? Time will tell, but considering he’s estimated to earn $100 million in endorsements, you would think at least a few of his more wholesome sponsors will be looking for a spokesperson who doesn’t own the complete works of Cheech n’ Chong. Of course his potential losses are nothing compared to those suffered by a Sean Connery gamble of a few years ago. He was offered the role of Gandalf in Lord of the Rings. But he turned it down in favor of starring in League of Extraordinary Gentlemen, because he “didn’t understand the (LOTR) script”. The kicker is that he was offered a percentage of box-office to appear in the LOTR trilogy…a percentage that would have earned him approximately 400 million dollars. Last but not least is the saga of Axl Rose and Chinese Democracy. Not known for good decision making at the best of times, Axl decided to gamble that the world would wait for 10+ years for a new Guns n’ Roses album. The result was, surprisingly, a critical success…but nobody bought the darn thing. It debuted at #3 on the charts, then quickly sunk out of sight and out of mind. 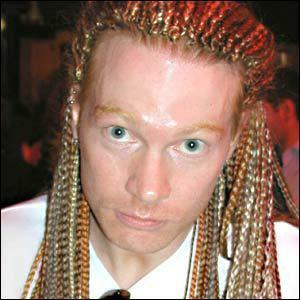 Axl is probably very sad about it, but with all the Botox he’s had you can’t really tell what he’s thinking. Gamble with cash, not your career…Check out our casino games now.